Along with the sweet, warm tone provided by its all-solid body, the C9 features the vintage elegance of a hand-inlayed mother-of-pearl rosette inspired by a 1920s Domingo Esteso design. Solid European spruce top and solid mahogany back and sides. Comes with Cordoba Polyfoam case. I purchased this guitar about a month ago as an upgrade from the cheap student instrument I was using. At first I was a little worried about spending $800 on a guitar but that went away as soon as I played it for the first time. The instrument itself is absolutely wonderful. It sounds like a million bucks and looks even better. 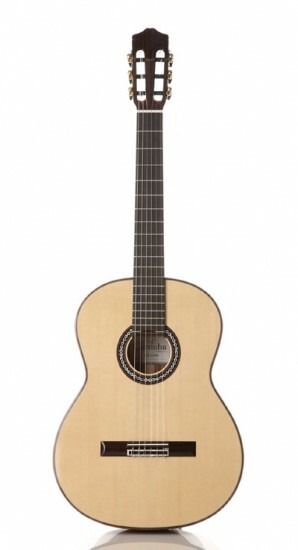 I really recommend this guitar to anyone who is looking to upgrade without shelling out $3000 for a custom instrument. I look forward to enjoying my C9 for years to come!